I’m a part-time YA librarian assistant. Helping teenagers find books is a big part of my job. I get so excited when kids actually want to read for fun because I know there are countless other media and activities demanding their time and attention. The pressure is really on for me to put the right book in their hands. I know when I pull a title off the shelf, I have about ten seconds while they glance at the cover to “sell” them on the book. One wrong word can turn them off before I even get to the good part. Asking the right questions to help discern what they are looking for is important (and that’s a subject for another post), but even if I’m just throwing out a handful of suggestions, If I’ve got a good line to showcase each book, chances are one of them will hit the right note. The average jacket blurb is about 250 words. Yes, it’s hard to distill the complex plot and fascinating characters of a 75,000 word novel into those couple of paragraphs. But when I’m explaining a book to a teenager, I feel like I’ve got two sentences. And since I may or may not have read the book yet (we get dozens of new titles a week in the YA section, and I like to read fiction for adults and nonfiction, too!) the blurb becomes even more important. These days every other person, adult or child, asks for a book “like The Hunger Games.” I have over 30 books shelved under YA dystopian/post-apocalyptic shelf on Goodreads in addition to the dozen on our reader’s advisory list, ranging from more traditional sci-fi or action adventure to the romance-y ones, so I’ve got a big pool to pull from, but I’ve only read 20% of them so far. When a 15-year-old boy who I know plays video games and reads manga asked for a book “like The Hunger Games“, I considered all the synopses I’ve read in trying to find a title I think he’ll enjoy. He didn’t want anything “too girly”, so rather than try to sell him on books with female protagonists (or debate gender stereotypes with him) I went for something with a male POV, hoping he’d like it and I’d gain his trust so he’d consider trying Graceling, Divergent, or Blood Red Road when they were back on our shelves. I even thought that if he liked this one, I might get him to check out one of the classics like 1984 or Fahrenheit 451 or Brave New World (though I’m only about ten years older than my average patron, I’ve found that “this was one of my favorite books when I was your age!” is the kiss of death for a book’s coolness factor). I handed him Ashfall by Mike Mullin. “It’s about a boy trying to find his family after a supervolcano erupts, destroying the country,” I said, which is a pretty accurate dumbed-down version of what I’d read on Goodreads (remember, I’m talking to a 15-year-old boy, so I only got about 10 seconds). “Under the bubbling hot springs and geysers of Yellowstone National Park is a supervolcano. Most people don’t know it’s there. The caldera is so large that it can only be seen from a plane or satellite. It just could be overdue for an eruption, which would change the landscape and climate of our planet. But my “boy survives volcano” line wasn’t doing the trick. He wasn’t sold. Then I added, “It’s got action. There’s this scene where the guy knocks a man’s eye out of his skull.” Mind you, I didn’t learn this from the official synopsis, but from Mike’s great blog post I happened to read on The League of Extraordinary Writers about not being ashamed of (or scared to) write YA books that deal with “dirty” themes. When we first got Ashfall, I wasn’t that excited about it because the only thing memorable about it was “volcano”. I thought the real science angle had potential to be cool, but wasn’t something that I could use to sell it to most of my patrons. But when I gave an example of the kind of action he could expect to find within his pages, this boy was ready to check it out and start reading. Now, I’m not in love with the synopsis of The Hunger Games on Goodreads, but the book reached a level where it doesn’t need to rely on it. Still, the concept is easily communicated in just a few words. The government forces randomly selected children to fight to the death in an arena on national television until only one survives as punishment for past rebellion by the districts and for the entertainment of the citizens of the Capitol. One girl volunteers to take her younger sister’s place and enters the arena determined to win. I immediately know not only know the who and the what, but the why. Why I should care about Katniss (she’s selfless enough to sacrifice herself). Why the Capitol is throwing kids in the arena in the first place (to quell rebellion and entertain the masses). If a reader liked The Hunger Games, putting a book in front of him about a boy who is trying to find his parents after a volcanic eruption doesn’t necessarily translate if that’s all I can say about it. What’s missing from Ashfall‘s synopsis is the action it claims is nonstop. In the description of The Hunger Games, we get that this is a fight to the death. But “destruction of every modern convenience” sounds like going camping to me (which for me, actually might be a sign of the apocalypse) but not quite as dire as being thrown in a stadium with a bunch of kids trained to kill. 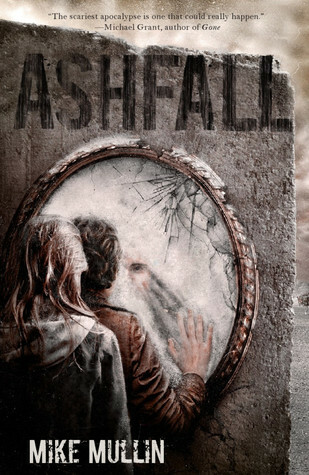 And if I tried to tell this fifteen-year-old that Ashfall is about how disaster brings out the “best and worst in people”, he’s going to role his eyes at me like I’m an after school special. A good cover blurb must identify the protagonist and antagonist, establish the conflict, set the stakes, capture the setting and atmosphere, and communicate genre. And you’ve got to be able to distill in into one great premise line, because whether or not you’re talking to a fifteen-year-old boy, your mom’s neighbor, or your fiance’s boss, or a potential agent or editor, that might be all the time you get to sell your story. My opinions on synopses are based on my experience as a reader and a librarian, and influenced in large part by what I find personally appealing and what I find useful in communicating what a book is about to patrons. I think writing a good one is more challenging than writing a bestselling novel. But the chances of having a blockbuster are infinitely greater if a book has a great blurb. 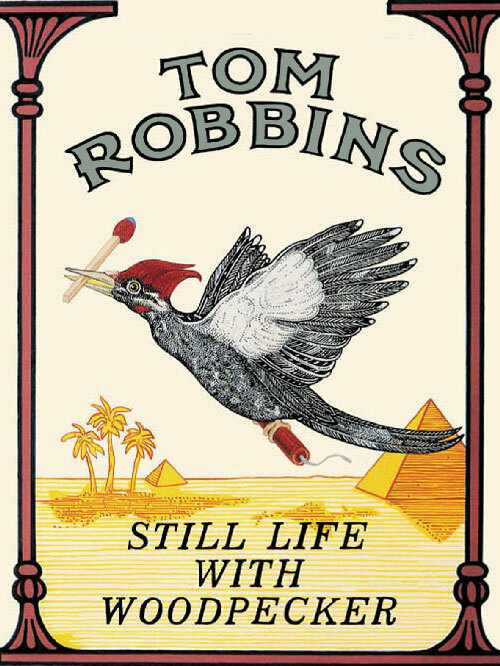 In my opinion, the best cover synopsis ever written (even though it breaks the rules) is this one for one of my favorite books that introduced me to one of my favorite authors, Tom Robbins. Seriously, how can you not want to read that book now? What captures your interest in book synopses? How do you boil down your writing to a premise line, let alone a cover blurb? What helped me was looking at the goodreads giveaways page- they have about 2 sentences to hook you! I’ve said before that it’s easier to write a 85K novel than it is to write a good synopsis. Now, that may be an exaggeration, but not by much. You’re right! A good synopsis needs to grab the reader, identify why you should care about the story and give a good idea about the genre and basic plot. It should let the reader know what to expect but still leave enough mystery to intrigue them. It should identify the genre but set itself apart, too. Impossible? Perhaps. And if it doesn’t match the actual book? Yes, readers can and will be angry.